It’s interesting hearing a band grow and evolve over time. 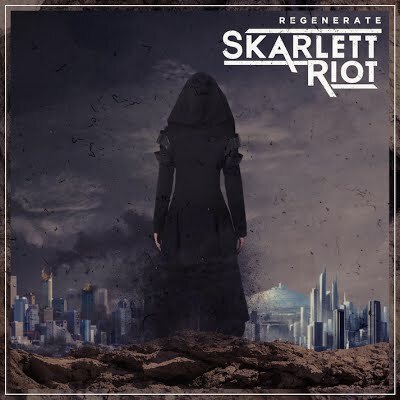 Skarlett Riot, are one of those bands that have just got better with every release, in my opinion. Their first album was fun as hell and it feels like they have been playing their market really well since then. 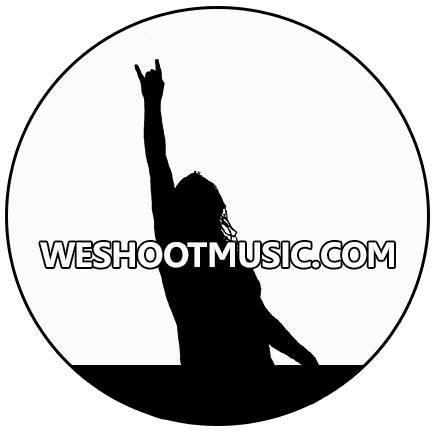 With two very successful EP’s under their belt, they have managed to test their audience and adapt their music accordingly. The two EP’s were really great as well, just saying. The new album Regenerate is the result of a really well executed refining process of seeing what their fans wanted from them and reacting to it. I have been waiting for this album for a while now and I am very glad to report it has met, and far exceeded, my expectations. This album keeps the heart and soul of the band centre and in focus. 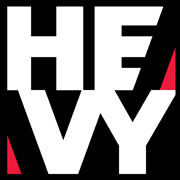 The grooves and riffs are well done and the melodies are kept simple and enjoyable. Yet, this album just feels like it’s on a much bigger scale than anything the band had performed before. Skarlett Riot have always felt like a big rock act but here the tunes are dialled up to eleven. The production is tidier and every musical element they use works. I love the addition of the piano sound mixed into the songs giving the music a much grander feel than just your usual hard rock guitar sounds. This slight change to their sound makes the music much more dynamic and palatable.The drum and bass work gives the music some real pep and energy that can really be felt in the sound. The guitar parts keep a great groove, and the vocal work is simply wonderful.Truly everything about the production sounds well crafted and crackles with intensity. The passion and emotion of the songs shine through and you really feel it in the vocal performance of Chloe Drinkwater, who projects so much character and presence through her vocals. The music flows nicely from one song to the next keeping your interest and the album is paced really well. Every song has some personality to it and it’s largely an enjoyable romp. The only real problems I have with the album is that a few of the songs feel like growers, I couldn’t get into them right away. Which is fine I suppose, just would have been nice love the whole thing in one go, but hey there will probably some who will instantly fall in love and that’s fine too. Also I don’t like how the vocals are mixed in, I can’t put my finger on it but there something that sound processed about the vocals and it’s a little distracting. All in all though, I’m loving this leaner and more focused Skarlett Riot. They have hammered out the kinks and have learned lessons from the past. The changes to their music are subtle but sound great. The new material is solid with a lot to like. If you’re a fan, then let’s face it you’ve already bought it. If you’re new to them then I would recommend giving this a listen and work your way back through their catalogue.